At Saint Rose, we’re proud of our queer community. We march in parades, hold fundraisers, organize protests, and just get together and hang out. With our L.E.A.D. Program, we have an L.G.B.T. track where you’ll get hands-on experience in leadership, plus workshops and speaker events. You’ll focus on social justice issues and research contributions to areas of business and politics. You’ll get to examine your own leadership style, select a track which speaks to your interest, and apply your skills to real-world issues and your future career. Plus, you’ll meet other people who want to make change, too. Open mics. Meetups. Fundraisers. The LGBTQ+ and Ally Club, aka Identity, holds regular get-togethers and events for the queer community to meet, organize, and express themselves. This is a group for students, faculty, and alumni, so the network is broad and strong. And Identity has fun, too! One of our residence halls has become home to many of our queer students. The LGBTQ+ and Ally Theme House is a safe housing space for the LGBTQ+ community, and allies to this community, to make their own. 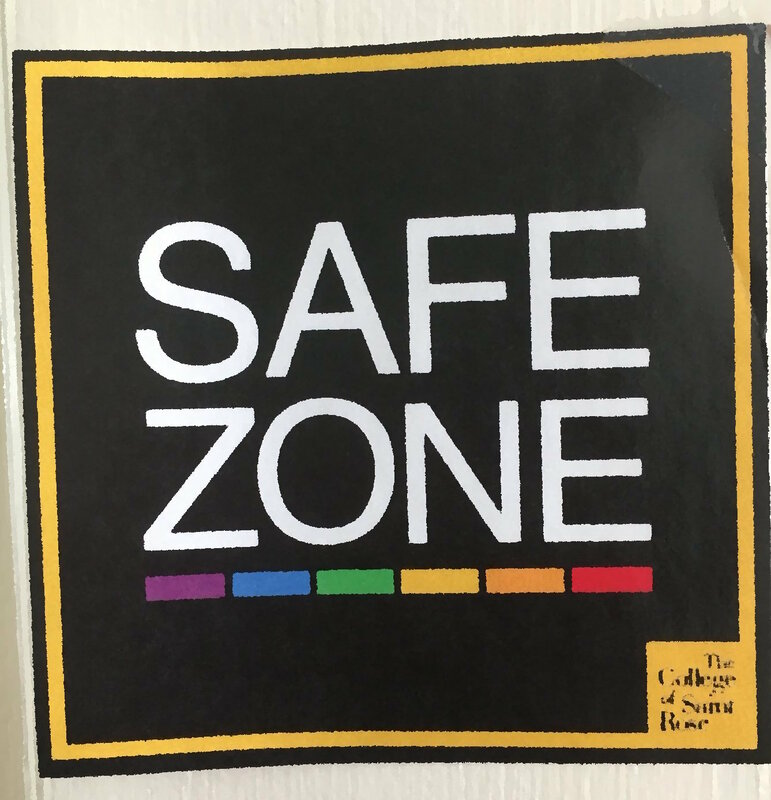 Of course, Saint Rose encourages inclusion and diversity throughout all of our spaces, but we know how important it is to feel safe where you sleep. For more information on how to apply to our LGBTQ+ & Ally Theme House, feel free to contact the Office of Residence Life. Pride Center of the Capital Region: The Capital Region’s LGBT pride and support organization, and the oldest continually operating LGBT community center in the country. Located on Hudson Avenue just off Lark Street. In Our Own Voices: An organization helping address the many needs of the LGBT community, centering the voices of LGBT people of color. Alliance for Positive Health: The Alliance for Positive Health is a community-based organization dedicated to improving lives impacted by HIV/AIDS and other chronic illnesses. For over 30 years the Alliance for Positive Health has modeled client centered care and provided skills to help those they serve make informed decisions. Damien Center: The Damien Center was one of the first AIDS Drop-in centers in the nation, incorporated in 1990. In 2016, the Albany Damien Center has served approximately 400 individuals living with HIV/AIDS and over 1,000 affected members of part of their support systems. They have programs like MPower!, Treasure Chest Thrift Shop, Smart Meals, and PAWS. American Institute of Bisexuality: National organization devoted to giving a voice to the bisexual community. A place to ask questions and share information. The Asexual Visibility and Education Network: With an aim to illustrate the difference between celibacy and asexuality, the organization promotes dialog between sexual and asexual people. GLSEN: The Gay, Lesbian and Straight Education Network. National Center for Transgender Equality: The National Center for Transgender Equality is the nation’s leading social justice advocacy organization winning life-saving change for transgender people. Trans Student Equality Resources: A youth-led organization that aims to improve education for trans* and gender-nonconforming students. 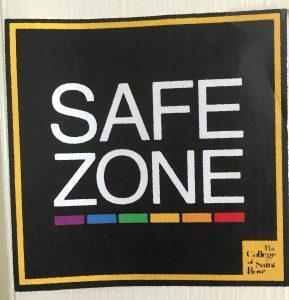 Gay-Straight Alliance Network: The GSA network helps students create alliances in their schools, and empowers young citizens to combat homophobia and transphobia. PFLAG: Parents, Family and Friends of LGBT Persons helps those close to LGBT persons to navigate their own personal journal to acceptance. The Trevor Project: Founded in 1998 by the creators of the Academy Award-winning short film “TREVOR,” The Trevor Project is the leading national organization providing crisis intervention and suicide prevention services to lesbian, gay, bisexual, transgender, queer & questioning (LGBTQ) people younger than 25. Have questions about LGBTQ+ life at Saint Rose? Get in touch with Res Life!